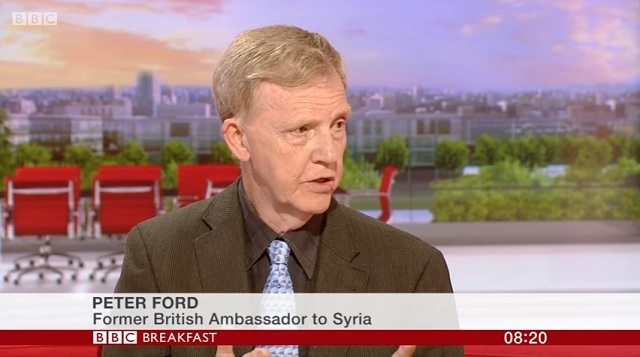 Former British Ambassador to Syria, Peter Ford, told the BBC on Friday chemical weapons are now "more likely" to be used in Syria because jihadis know a "fake flag" attack will trigger the US to attack Assad. "It's not going to end here ... because Trump has just given the jihadis a thousand reasons to stage fake flag operations," Ford said. "Seeing how successful and how easy it is with a gullible media to provoke the West into intemperate reactions." "They will very likely stage an operation similar to what they did -- and this was documented by the United Nations in August last year -- they mounted a chlorine gas attack on civilians and they tried to make it look like it was a regime operation," he said. "Mark my words, you hearing it here, and it will happen," Ford said. "And we'll get all the warmongers coming to tell us that that Assad is defying us and we must go in more heavily into Syria, this will be fake flag." While you can argue whether or not the recent attack was a false flag, there's literally no arguing the incentive for rebel terrorists to stage a chemical attack now to blame it on Assad is higher than ever.